It is no secret that I am a Peyton Williams Manning fanatic. He belongs on the Mt. Rushmore of QB’s and can do no wrong in my eyes unless he endores Donald Trump for President. I have been sitting here working on this blog for a while. I have a lot written but I have decided it is not worth sharing. 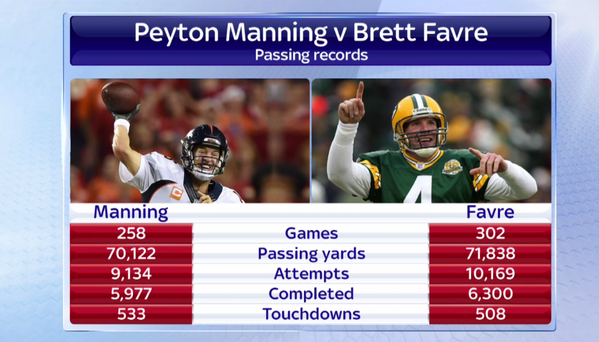 Not because I did not like what I had to say but because even with his decline, Peyton proved to everyone watching last night that he is still the Sheriff in this town. What else needs to be said? By the way, that two minute drill clinic Peyton put on nearly brought a tear to my eye. That was beautiful. 2 and OH. 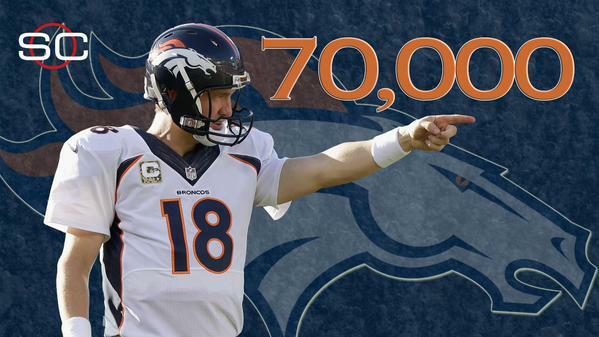 Holla at Peyton and his 70,000 passing yards(eclipsed the plateau last night) when you see him in the streets. He’s coming for that #1 spot!